Eating a healthy diet is on almost every list of what you can do to stay well. But what is a healthy diet? What should we eat? Are there foods that we should avoid? 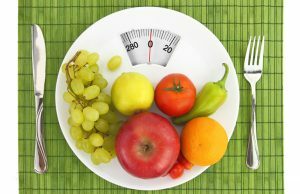 Can dieting be unhealthy? Line One Your Health Connection co-host Dr. Jay Butler and registered dietitian Kayleigh Hill discuss the ways to eat for health and enjoyment. The Alaska Native Tribal Health Consortium’s Store Outside Your Door project features videos that take you out to harvest then into the kitchen to learn how to prepare a delicious and nutritious traditional dish with a contemporary twist. David Jackson, host of PBS’s Food Over 50, provides culinary advice for preparing delicious low sodium meals in an episode entitled “The Salt Show: Sodium vs. Hypertension”.